When a Melbourne family made the sea change to the Central Coast, they were looking to embrace the relaxed coastal lifestyle, and that extended to the design of their garden. 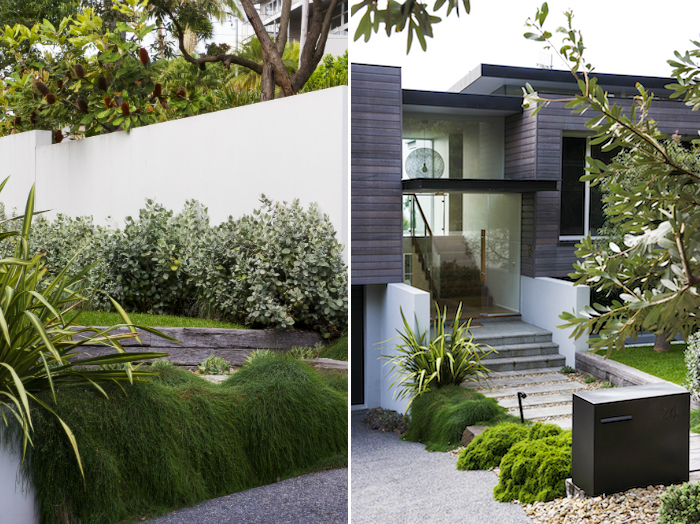 The couple engaged the help of Adam Eurell and his team from Nature’s Vision Landscapes to transform the bare site into a private oasis that showcased a combination of native Australian and New Zealand plant species. “The garden was designed to provide privacy from the streetscape and help nestle the contemporary home into the site”, explains Adam. 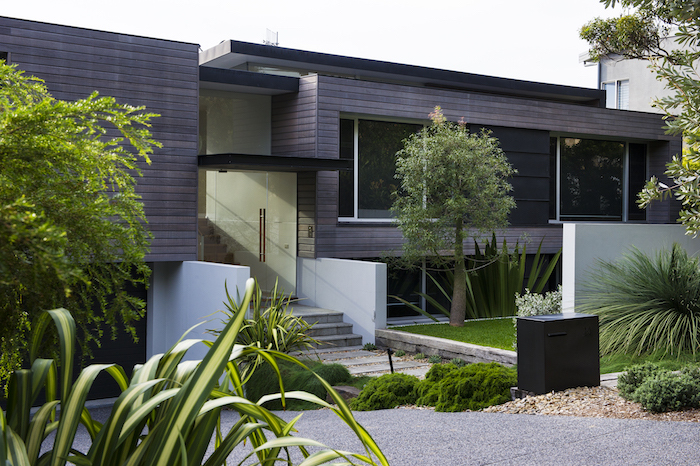 While the clients were originally concerned about privacy and security, Adam was keen to use large trees and dense planting to close off views rather than build a structural wall which would be more fitting of a Melbourne courtyard. 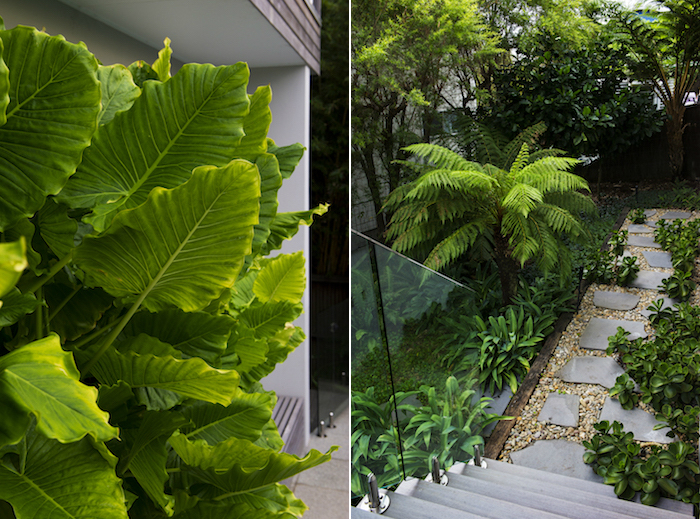 Using foliage to disguise the property from the street also helped connect the landscape with the architecture. 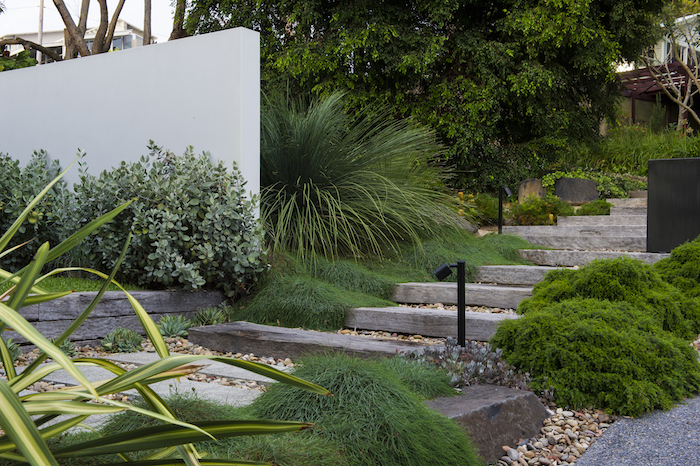 “A collection of planting textures and colours in the garden softened the structured contemporary residence,” says Adam who admits the dominating form and limited outdoor space made achieving this a challenge. Surrounding the main pool area, Nature’s Vision Landscapes created a microclimate protected from the salty air and sea winds, allowing the ferns and other New Zealand species to flourish. “This was bordered by a large existing strand of Lemon scented tea tree situated between the home and the neighbouring property”, explains Adam who embraced the challenge of reviving the established plants. The relaxed, coastal aesthetic extended to the materials palette that Nature’s Vision Landscapes created. Adam says they opted for an organic natural feel through the use of weathered hardwood steepers, terrazzo exposed tiles and an exposed aggregate driveway. Gravel and native leaf mulches continued to soften the landscape and reinforce the coastal ambience. 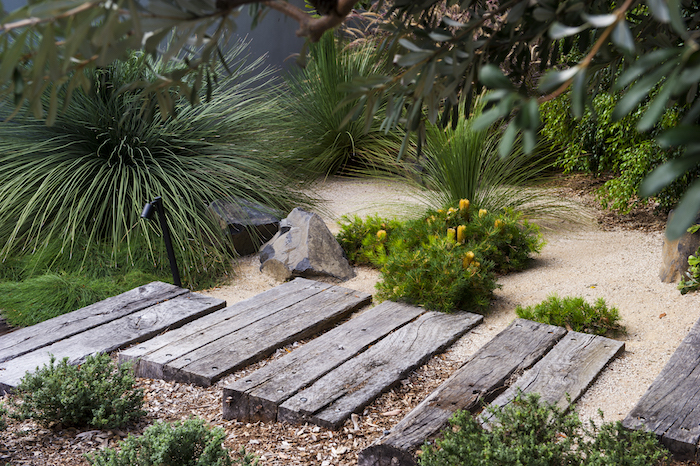 Throughout the garden, plants border and spill onto the passage created by organic Bluestone steepers and the large, weathered sleepers. 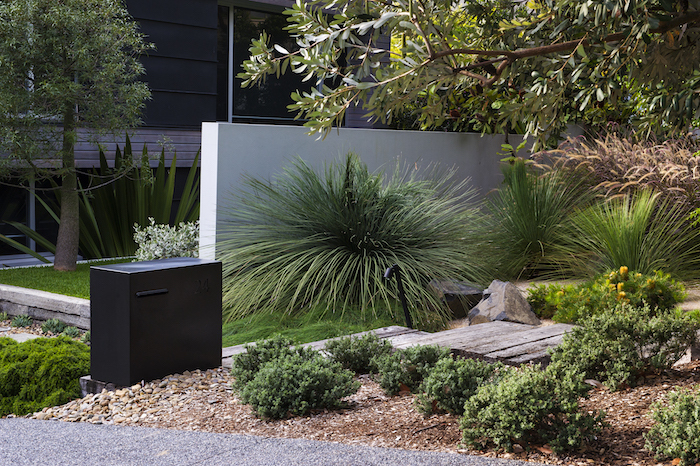 The muted, neutral palette of greys, browns and blacks compliments the native foliage and works sympathetically against the contemporary architecture. The end result is a private garden the family can retreat to and enjoy the coastal lifestyle. The clever combination of native plants, natural materials and a neutral colour palette has created a landscape that works coherently with the architecture to produce an enviable Central Coast property. See more of this project and others by Nature’s Vision Landscapes here.